All PAVE hermetic seals are both pressure and vacuum rated in either pressure direction. 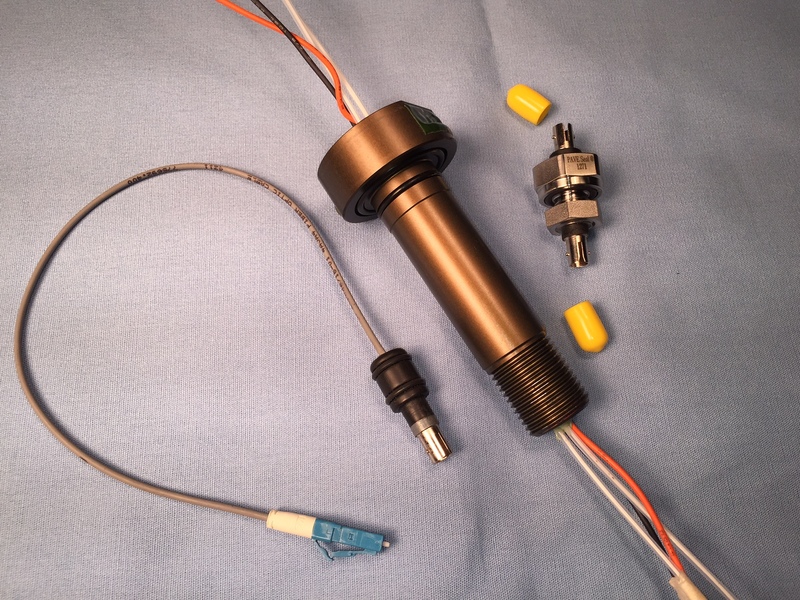 Also, most of our hermetic seal wire or pin connectors are able to be rated and tested to much higher pressures or lower vacuum helium leak rates than what may be shown on the drawings. Copper alloy wires or pins are sealed for the best ampacity. Hermetic electrical feedthrough wire seals for Pressure And Vacuum Electronics from 1 to +500 wires, #4 AWG to #30 AWG, any type insulation including PTFE, ETFE, PVC and others for low or high pressures or vacuums, gas-tight, moisture-proof, sealed including through the conductor or insulation. PAVE-Mate® I hermetically sealed connectors have dual sided electrical disconnecting plugs on BOTH SIDES as double-sided or double-ended connectors with opposite gender contacts from each side from 2 - 128 contacts, #4 AWG - #22 AWG, USB, RJ45 Cat 5e Cat 6 Ethernet and firewire versions also with IP68 option. For Low and High Pressure and Vacuum hermetically sealing fluids or gases. Most of our circular hermetic seals can be leak tested and certified upon request for significantly higher pressures than a typical 80 psi (5 bar) air bubble test or vacuum helium leak test shown on drawings. Lower temperature ranges as low as -200C may also be possible. D-Sub, Rectangular & Header Hermetic Connectors – Standard density #20 AWG contacts, high density #22 AWG, micro d #25 AWG & nano d-subminiature DB hermetic connectors, hermetic header connectors and other rectangular style connectors. 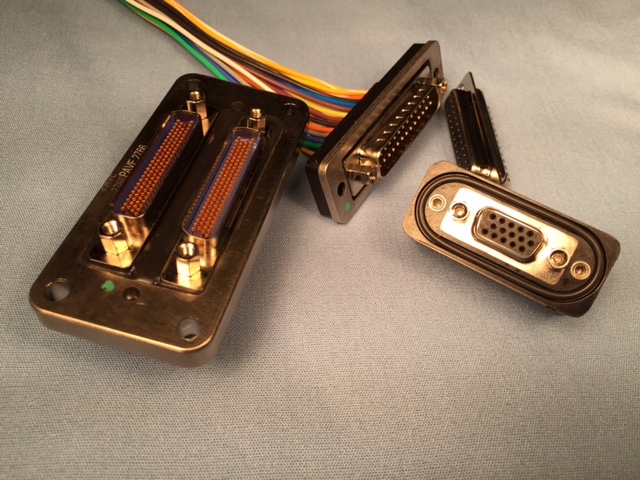 Single or dual sided connectors from 9 to over 200 pins. 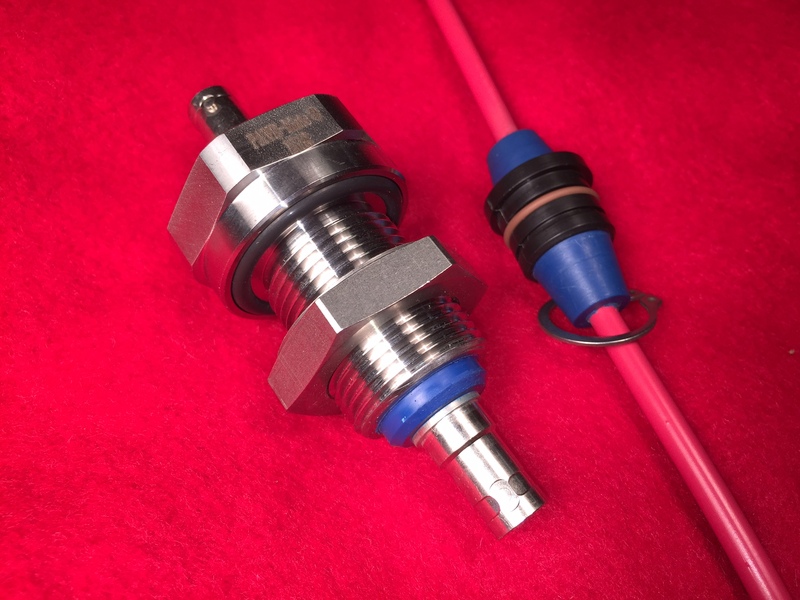 Also available are coaxial and low cost thermocouple contact versions for pressure or vacuum, lightweight aluminum or plastic shells or laser weld aluminum flanges. 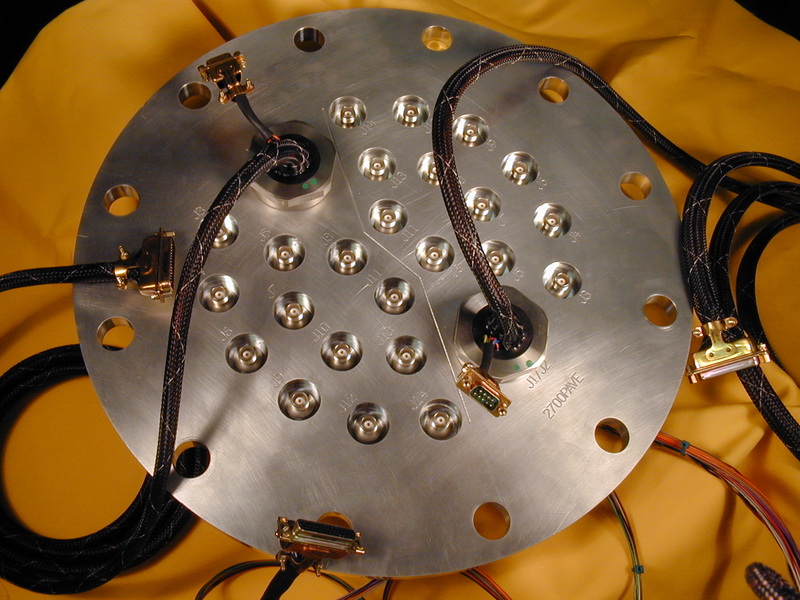 Hermetically sealed coaxial or shielded cables of any type or PAVE-Mate® connector types with floating isolated shields for BNC, SHV, SMA, TRIAX/TWINAX, F, SMB, SMC Microdot, SMK, MDR & others. 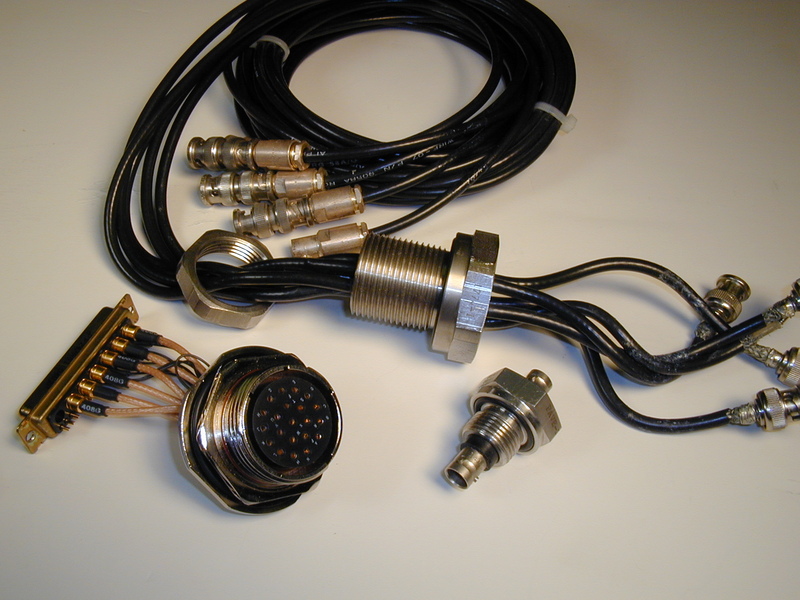 Also offer grounded housing shields and multi-pin coaxial PAVE-Mate® connectors, single or dual sided connections. 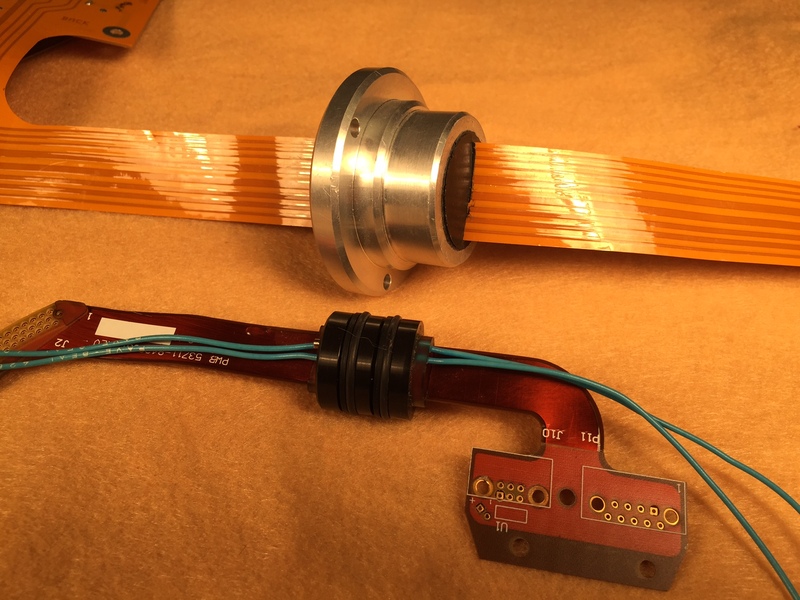 Hermetic seal connector versions include 2.92mm and 1.0mm Ka-band high frequency seals for use up to 40 and 100 GHz. 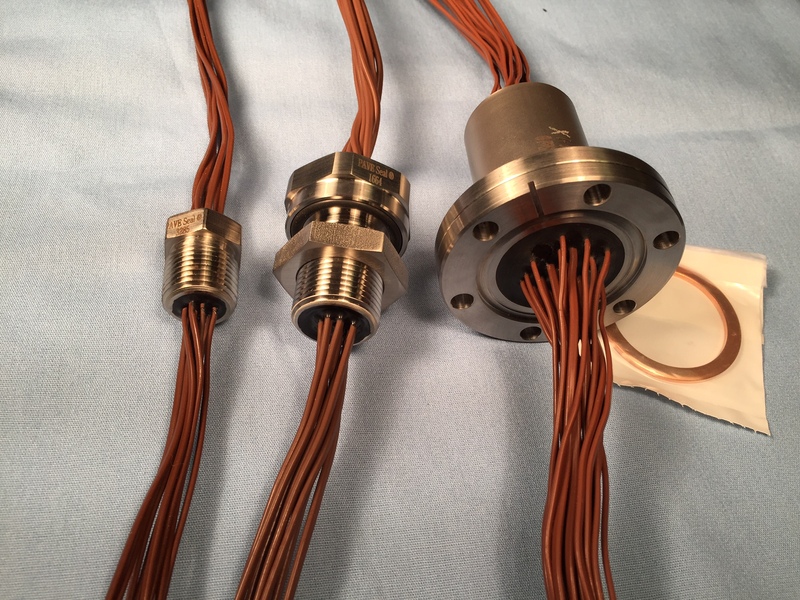 Hermetic thermocouple feedthru seals for vacuum and pressure of any type of wire pairs or multi-pin thermocouple connectors.. All types available including K, T, J, E, N, RxSx with any insulation or wire length. Wire conductor remains continuous through the hermetic seal for highest accuracy. Welded wire junctions can also be ordered. 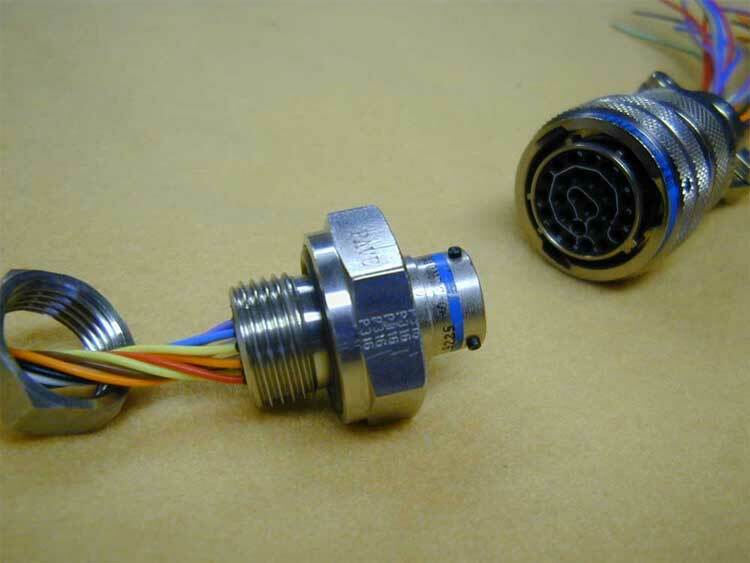 Hermetic dsub connector version also available. 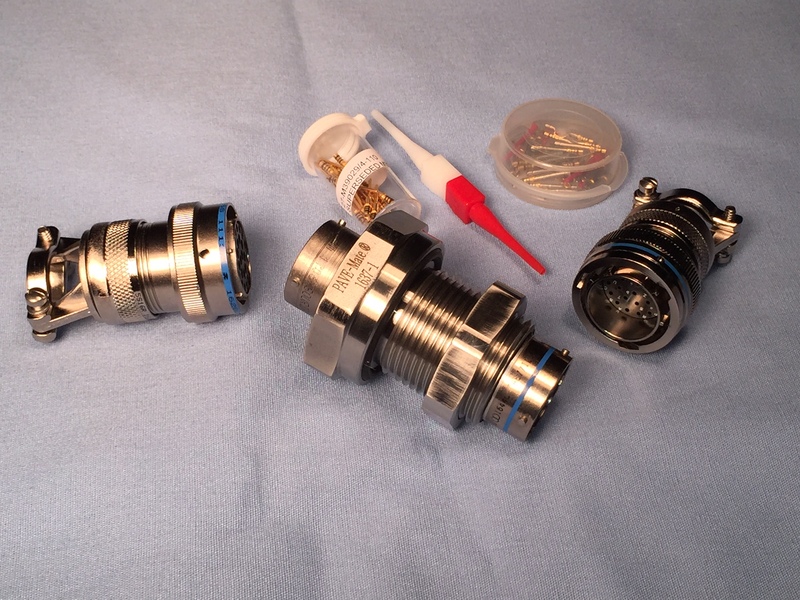 PAVE-Optic® feedthrough hermetic seals can be single and/or multi-mode optical fibers of any lengths or combination. 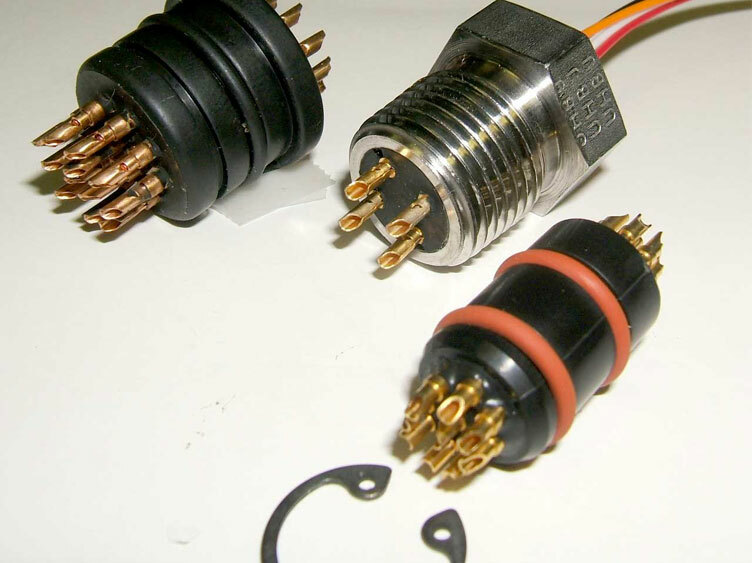 Hermetic connector types such as SMA, ST, FCPC, etc for low or high pressures or vacuums are available. 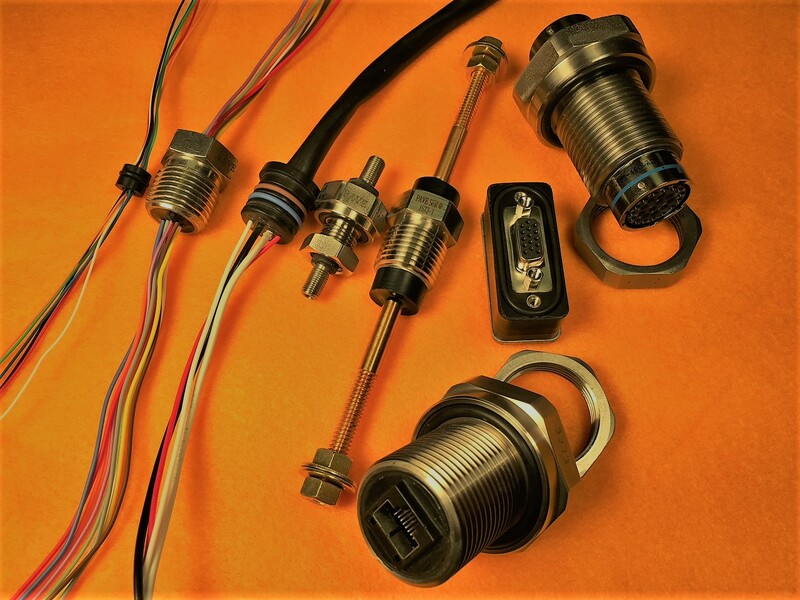 Threaded copper or brass high current electric feedthrough terminals or studs hermetically sealed for 20 amps to 1000 amps service up to high voltages for pressure or vacuum, single or multiple terminal penetration seals. 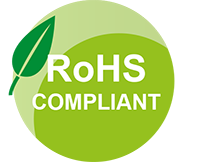 Any type High voltage wire or cable feedthrus up from 1-30 kV, single or multiple cables, with or without high voltage cable connectors. Hermetic electrical seals #20 AWG or smaller Pins on either one or both sides for low or high pressures and vacuum hermetic header seal in small diameter seals. PAVE-Flex® is an insulated solid conductors flat cables or high conductor density Kapton® flex circuits hermetically sealed feedthru in low cost, space saving hermetic epoxy molded o-ring seals or laser welded aluminum housing designs that are both helium leak tight for low and high pressures and vacuums. 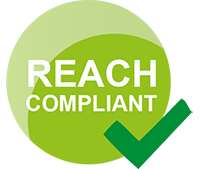 Certain PAVE hermetic seal feedthroughs will also meet Telcordia GR-468-Core moisture and thermal endurance qualification testing. 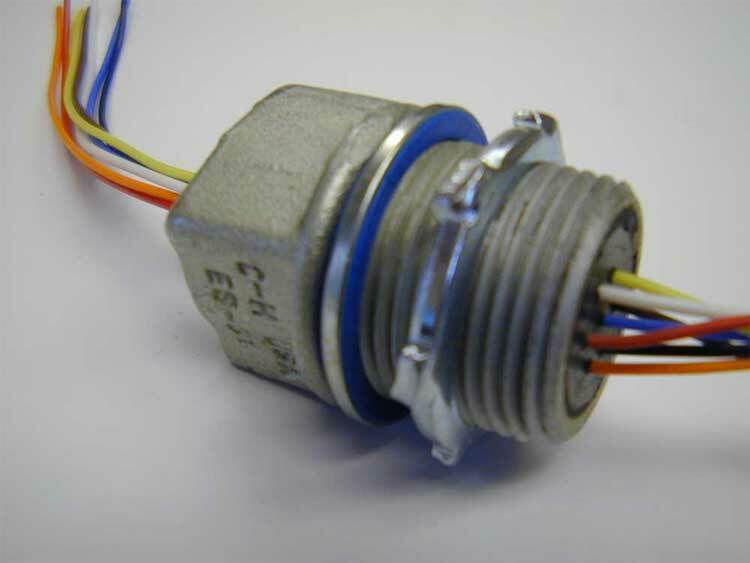 PAVE-Mate® II electrical hermetic circular connectors with a single side disconnect and either pre-wired and sealed insulated wire leads or solder cups on the other side. Signal or power currents passthrough. 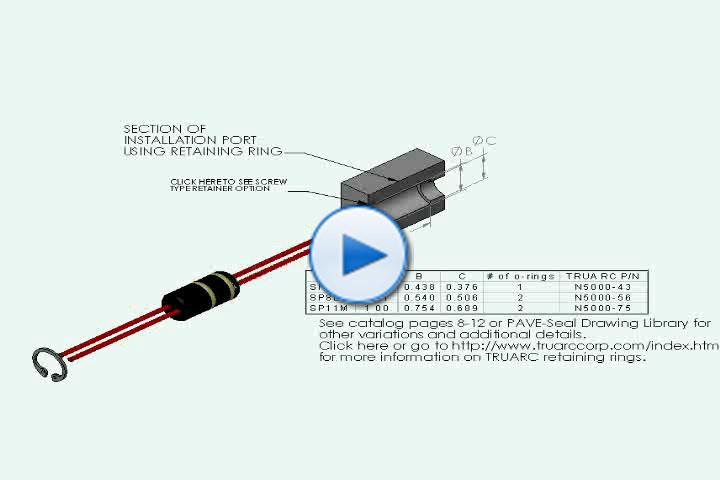 PAVE-Seal Non-threaded Piston O-ring installation Animation. Port should be designed per standard o-ring handbook specifications for the appropriate o-ring size with proper 15º lead-in, compression (usually 30%) and finish (32 RMS or better). Molded PAVE-Seal o-ring groove will have been properly de-flashed. 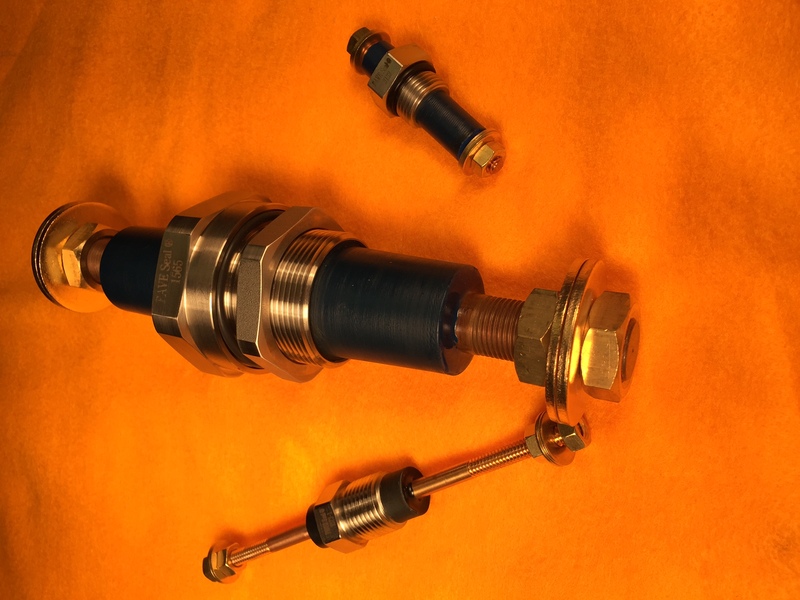 Hermetic cable or connector seals can also be supplied mounted and tested on flanges ready for installation. Hermetic sealing for low and high pressures to +1000 bar and vacuums up to 10^-8 Torr, -40 to 125C or 150C typical, wider ranges may be available -200 to 200C depending upon the design. PAVE hermetically sealed wire, cable or connector seals also meet or exceed IP68 ingress protection of long periods of dust and pressurized water requirements. 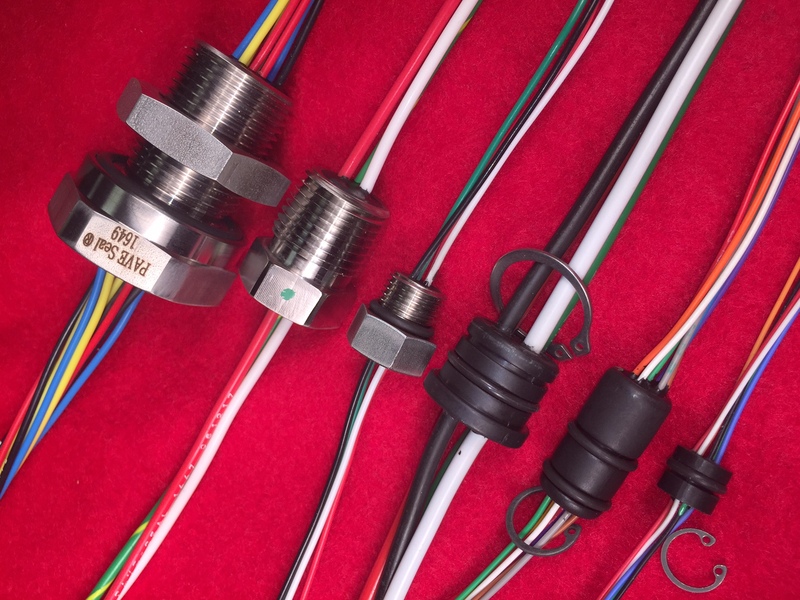 Signal, power, thermocouple, coaxial BNC SMA SHV, d-sub, MDR, thermocouple, RJ45, USB, ST. Bulkhead mountings include jam nut o-ring face seal, NPT, SAE straight thread, piston o-ring, all pressure and vacuum gas and fluid tight hermetic seals including through any wires or EMI shielded cables!